This Leica T (Typ 701) camera model embodies German minimalist sophistication and deluxe features for another outstanding quality piece from the innovator brand. 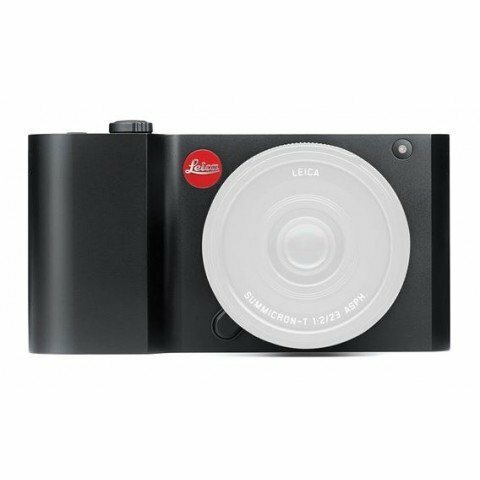 Featuring a singular, solid aluminum body crafted with precision, the Leica T offers compact resiliency with a simple metal sheen that carries world class performance. The 16.5 Megapixel APS C sensor has an ISO range of 100-12500 and a shoot rate of 5 fps. It captures with precision to bring clarity and vibrant colours to life to all photos and video (1920 x 1080 HD at 30 fps). Meanwhile, its Wi-Fi capability allows for instant share, upload and remote control features with iOS and Android equipped mobile devices and smartphones. Worry not with compact storage, as the camera has a built in generous 16GB memory. Provisions for additional storage are included for SD, SDHC and SDXC memory cards. It has a maximized 3.7 inch touch screen LCD laid flat at the back for a complete view and monitoring plane. It fully integrates all settings and imaging options into one main touch screen, leaving all other shooting dials and shutter controls at the top bracket only. The top bracket also features a newly designed T Mount provision for the SF26 flash, Visoflex Electronic Viewfinder or perhaps the M-Adapter T for use with Leica M lenses to expand the creative capabilities of the Leica T.